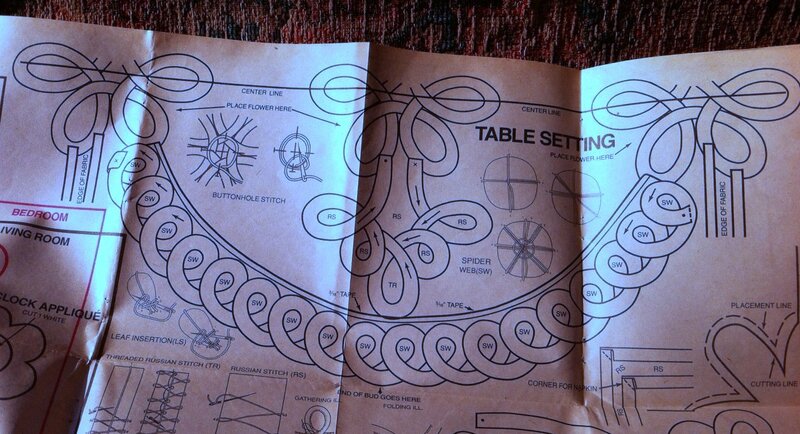 This is a beautiful tablecloth; I hope it is as enjoyable to create as it is to view. This appears to be an involved project. 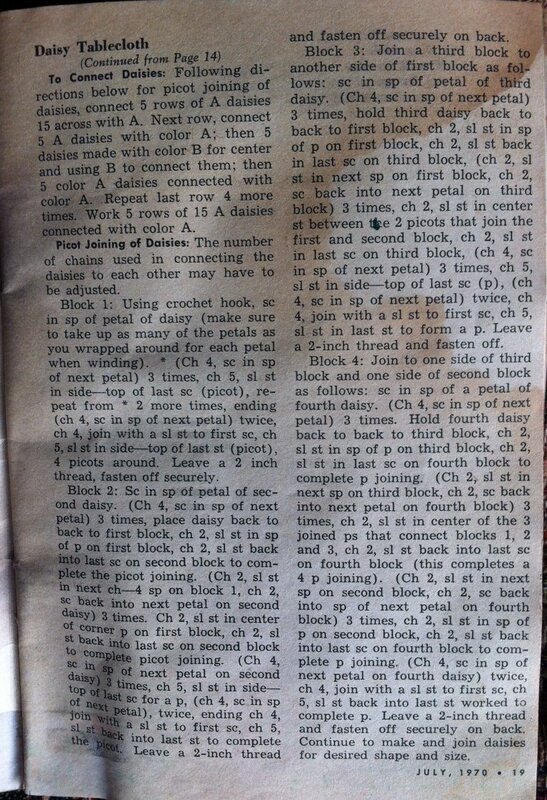 It comes from Number 10, Volume95, The Workbasket, July 1970. I will present it through photographs due to its length. If this doesn’t provide adequate visual, let me know. I will type it out. 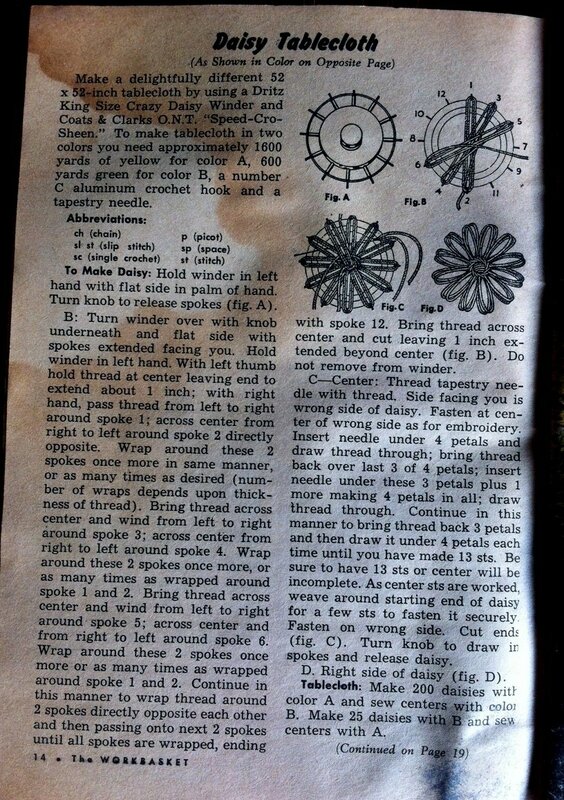 If you chose to make this daisy tablecloth, I would love to see your finished products. 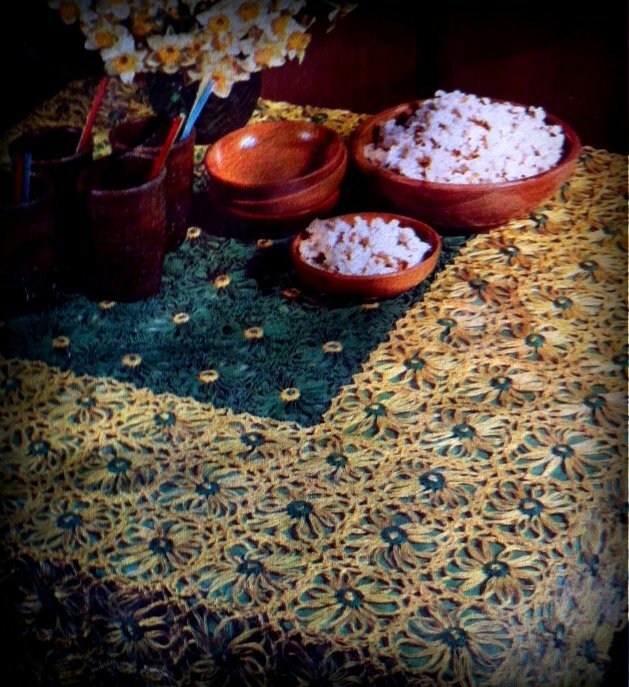 If you wish to sell the tablecloth you made, you can promote it on STUFFEZES, Textile & Related – For Sale page.